Well I am currently dealing with the worst cold/mild flu I have had in forever. Most of the time I get the sniffles or a bit clogged up in the nose but I am feeling it at the moment. Body aches, clogged nose, cough. Thankfully no fever although I am taking panadol so it might not have come through. I prefer to deal with most things naturally if I can. So that means I have been googling natural remedies. I know the basics such as lots of rest (hard when you are a single mum) and lots of water. I have been downing juice to up the vitamins and lots of cups of tea to help with the cough/ sore throat. 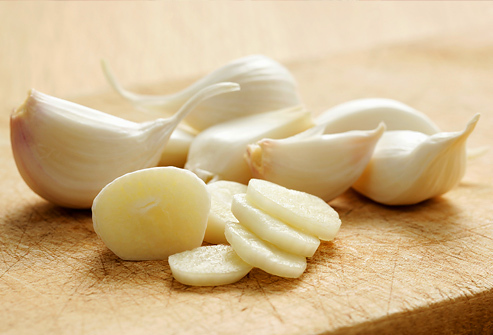 Garlic is one that I had heard of but had never tried so I have given that a go today. I just sliced it up and took it like you do tablets (tried giving it a chew but it was not pretty!). Also been trying to keep my food intake up. as much as I don’t feel like eating this is something I need to do to help me feel better. I have cheated in that I am using some medicine for my nose. I can’t have 5 showers a day to keep my nose clear so this is helping me do the job. So hopefully the garlic starts doing it’s job and tomorrow I start feeling better. I think I am over the worse. What are some of your favourite cold/ flu remedies?